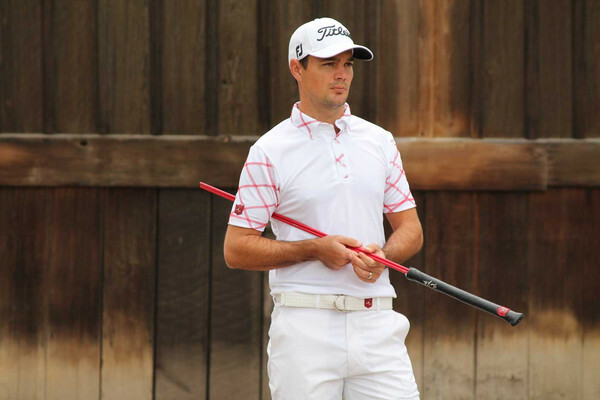 GolfThreads started about a year ago with the list of The Five Best Dressed Golfers of 2012, so consider this a state of the union post on everything that is right with fairway fashion. For 2013, the list has been expanded to the 10 best and easily could have been extended to 25. Golfers, especially Tour players, have received the message that their appearance on the course really does matter. This year, there is a shake-up in the top five places, including a new number one, two players with their own labels and one brand with two players on the list. The 2013 list will be unveiled one player at a time in descending order over the next 10 days. What do you think about GolfThreads’ selections? Who would you have in your top 10? Contribute your own list in the comments area below. This Canadian burst on the scene in 2013 in vibrant colors from Mississauga-based (that’s in Ontario, folks) Sligo Wear and a bold game to match. The DeLaet / Sligo partnership is an example of a great fit between player and brand. Sligo’s funky plaids, electric colors and sporty designs aren’t for the faint of heart, which make them a perfect complement to DeLaet’s aggressive play on the course. This fit between player and brand was even more apparent at the Presidents Cup when DeLaet looked out-of-place, and downright unrecognizable, in the International Team uniforms that consisted of muted hues and traditional fits. 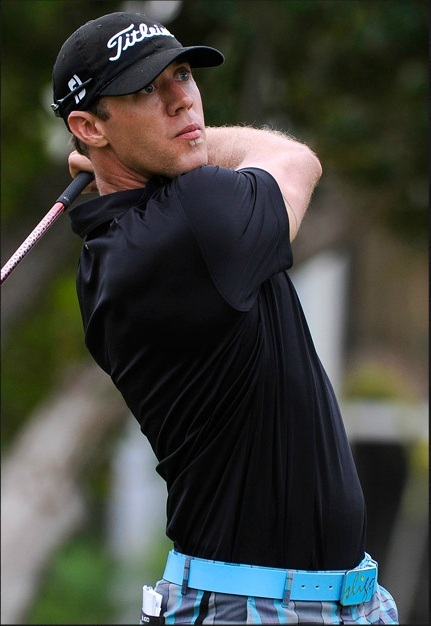 If DeLaet is on the International Team in 2015, GolfThreads is starting a petition to have Sligo provide the unis. What can we learn from DeLaet’s style? Have fun. Get creative with complementary colors and designs. Wear brands that fit your personality and make you feel comfortable on the course. In an era of head-to-apparel contracts, Bo Van Pelt combines clothing and accessories from four different brands. Obviously there is coordination between the brands, but each brings its own flair to BVP’s classic looks. 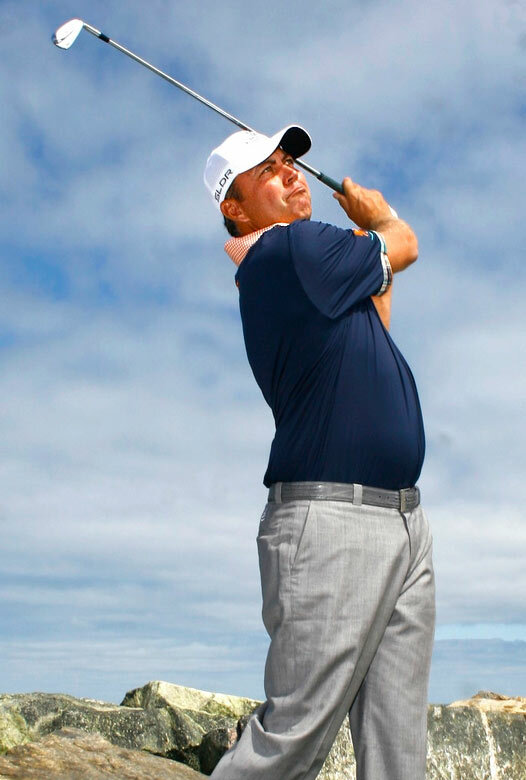 BVP always looks crisp, elegant and stylish on the course in Alial Fital’s gingham and plaid stand up collars, FSquared’s rear pocket flaps with complementary fabric, Piedmont Leather’s exotic belts and Foot Joy’s Icons. See Also: Does Bo Van Pelt Have the Best PGA Championship Apparel Script? What can we learn from Bo Van Pelt’s style: How to pull multiple brands together for a cohesive look. Standing out from the crowd doesn’t require neon colors and over the top designs. Luxury, style and performance. Is this a description of Henrik Stenson or his Hugo Boss apparel? It’s difficult to separate the two as Stenson and Hugo Boss have meshed perfectly over the years. Henrik the Great accomplished the rare double this year by adding the FedEx Cup and Race to Dubai trophies to his mantel and in the process looked like he was born to wear Hugo Boss. The Swede may opt for the white belt too often, but he serves as a perfect example of how modern golf apparel should fit. The shoulder seams and sleeve lengths on his shirts are on point and the tailoring of his pants is always immaculate. What we can learn from Henrik Stenson’s style: Fit, fit, fit. Look for pants with a slight taper through the lower leg. Billy Horschel’s torrid play in the first half of the year elevated his stature on the PGA Tour, but his retro-inspired spectator-style shoes from Foot Joy led to his ascent up the GolfThreads best dressed list. In addition to his flashy kicks, Billy Ho’s confident personality brought a bold vibe to the RLX brand, which provided a nice contrast to Luke Donald’s ‘steady-eddie’ personality. 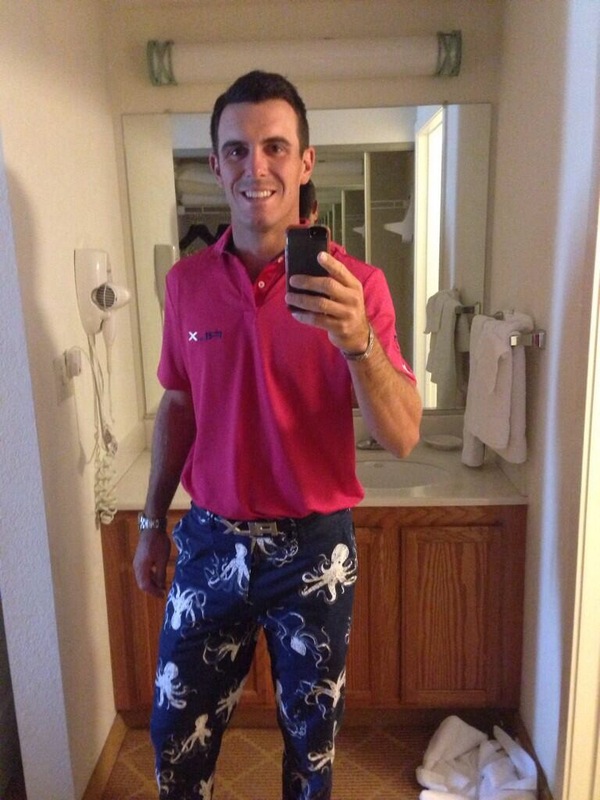 Horschel created a firestorm in the Twittersphere by tweeting a picture of his U.S. Open final round ensemble that was highlighted by octopus print pants. Unfortunately, his play in the final round didn’t grab as much attention as his trousers. Then a missed cut at the Open Championship denied us the opportunity to see the preppy neck tie, cardigan and plaid pants outfit that he was scripted to wear in the final round at Muirfield. Horschel did redeem himself, though, with a sartorially strong appearance on Golf Channel’s Morning Drive by donning navy and green camouflage pants from RLX’s fall collection. Funny how Horschel and RLX can make camouflage trendy, but when Boo Weekly breaks it out, the only thing that comes to mind is Duck Dynasty. Just sayin’. What we can learn from Billy Horschel’s style? Take risks occasionally to shake things up. Brogues are in — on and off the course. Expect more brands to release shoes with brogue detailing in 2014. For those of you who thought this list was getting a little predictable to this point, I offer you Tyrone Van Aswegen. Before you go scrambling for a PGA Tour media guide, here’s what you need to know about Van Aswegen, at least from a style standpoint. He recently graduated from the Web.com Tour and is already making sartorial splash in his Iliac threads on the PGA Tour. Van Aswegen’s place on this list is as much about Iliac founder Bert LaMar’s vision and design aesthetic as it is TVA’s personal style. LaMar consistently pushes the envelope through innovative fabrics, modern fits and unique designs, and does a great job in selecting Tour players to carry out his design vision on the course. Frankly, all of the Iliac guys (Jimmy Walker, Matt Jones, Danny Lee) always look crisp, athletic and impeccably tailored. Van Aswegen’s style is the best of the bunch and the closest to how I like to wear Iliac — classic colors, slimmer fits and belts that add a pop of color and personality to the ensemble. Want to know how a polo shirt should fit? Check out the fit of Tyrone Van Aswegen’s polo. Shoulder seams in the correct places, narrow sleeves that hit at the biceps and tailored fit through the body. Totally on-point! Of course it helps to have handmade shirts from Bert LaMar. What can we learn from Tyrone Van Aswegen’s style? Focus on fit. Find a great a tailor. Use subtle details to modernize classic looks. Luke Donald is the consummate professional. The guy rarely has an off day in the style department. Is there anything more classic than his navy blue Sunday tributes to Seve Ballesteros? Much like his game, Donald’s style can best be described as simple, yet sophisticated. His style is a perfect example of fashionable moderation. We see a lot of solids and classic colors like blue, grey, white and black, with the occasional jab of bright yellows (see above), greens and reds. These looks from the Masters Par 3 Competition and the second round of the tournament were fun, vibrant and eye-catching without causing permanent retina damage. His shirts fit perfectly — slim, but not tight. His pants are well tailored, but not ‘drainpipe’ skinny and the hems hit right at the tops of his shoes. Speaking of shoes, like fellow RLX ambassador, Billy Horschel, Donald is known to sport some sweet-looking, custom FootJoy Icons on the links. Donald is also one of the players that is on-trend in selecting thinner, more understated belts to complement his look. What can we learn from Luke Donald’s style? An effortless look never goes out of style. Try pants in non-traditional colors to add an unexpected pop. Can we just crown Ian Poulter the King of Color? This modern day Doug Sanders shies away from color as often as he shies away from clutch putts in the Ryder Cup (which would be never). 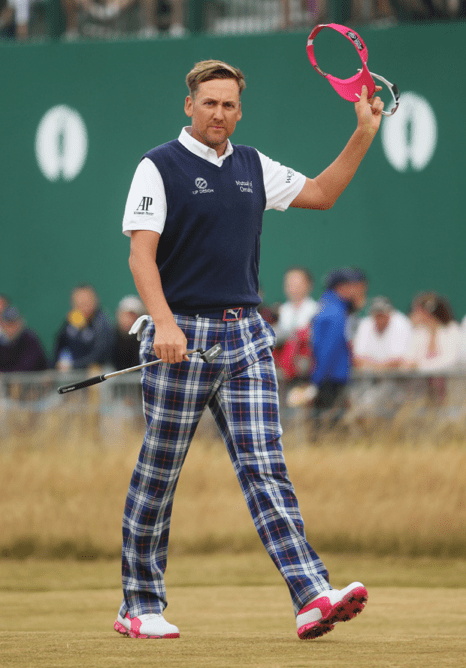 Poulter has become synonymous with bold patterns, like his signature tartan trousers and funky argyle sweaters. Here’s a big thank you to all those apparel companies that couldn’t design clothing that appealed to Poulter. Without you, Poults would not have started his own brand, IJP Design, and we wouldn’t have been treated to his unique perspective on golf style over the past few years. 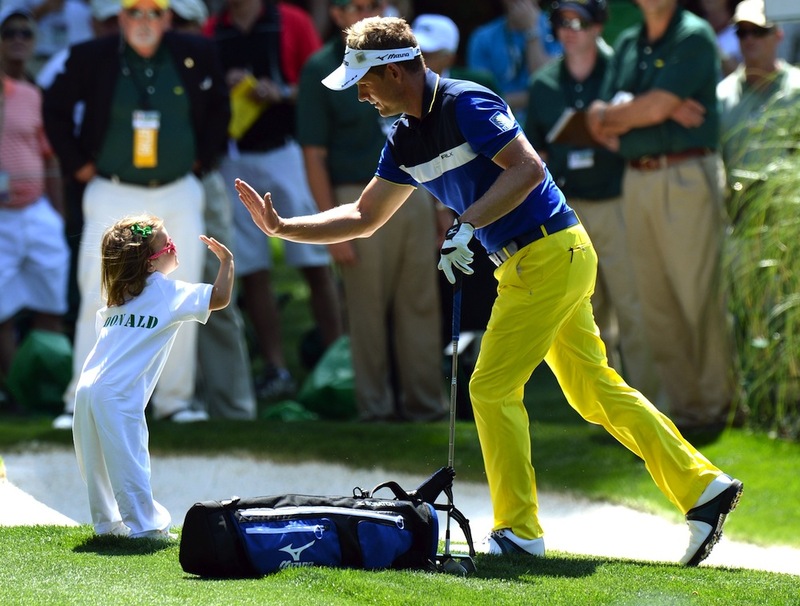 What can we learn from Ian Poulter’s style? Have a signature look. Balance colors and patterns — tartan trousers paired with solid shirts, striped shirts paired with solid pants and bright colors with neutrals. Is there a classier dresser on Tour than Graeme McDowell? I think not. In an era of players and brands competing for eyeballs with blinged-out designs and neon colors, McDowell brings a quiet sophistication to the fairways through timeless, yet modern looks. His signature cardigans, vintage-looking polo shirts, wool trousers and oxfords recapture the elegance that we saw in the game during the 1930s and 1940s. McDowell has also been one of the trendsetters on Tour over the last few years. He single-handedly brought cardigans back to the game after his victory at the U.S. Open in 2010 and he was one of the first players to wear polos with button-down collars. Now his apparel brand, G-Mac by Kartel (a collaboration with Irish sportswear brand, Kartel) has introduced base layer shirts in colors, other than the traditional and boring black and white, that complement his line collection of polo shirts. When other brands jump on this bandwagon, remember that this trend started with McDowell. What can we learn from Graeme McDowell’s style? ‘Unique’ doesn’t have to be ‘loud’. Use subtle, elegant details to create for an understated, but eye-catching look. Similar to Ian Poulter, Ishikawa has the unique ability to pull off certain looks that mere sartorial mortals have no business even attempting. In fact, he’s one of the few players who can make a trucker hat look good. 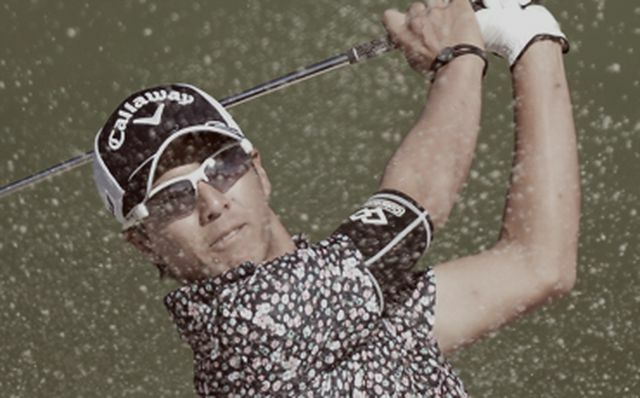 Known as the ‘Bashful Prince’ in Japan, his on-course style is anything but shy. Vibrant pastels, eye-catching plaids, meticulously tailored shirts and pants, and the mysterious bicep band make him stand out from the crowd. While most players have fairly consistent looks for day to day, Ishikawa frequently switches up his style — sometimes sporty, sometimes retro, sometimes classic, and sometimes urban cowboy-ish. A few looks really stood out as examples of Ishikawa’s creativity and versatility in 2013. His white and violet-colored paisley shirt during the second round of the Masters followed by the 70s disco fever shirt in the third round had me wondering if he hit the Augusta thrift store on the way to the course. Somehow he rocked these ensembles and had the most unique looks amongst the azaleas. Then at the Frys.com Open, he mixed plaid pants with a patterned sweater (typically a fashion disaster). He again made this unconventional pairing work and in the process had style gurus scratching their heads. Maybe at some point Ryo’s clothes will come to retail (hint Callaway). In the meantime, if you happen to know an octogenarian that has that paisley shirt in the back of his closet, let me know. I’m willing to pay big bucks for it. What can we learn from Ryo Ishikawa’s style? Get creative. Switch up your style to keep it fresh. 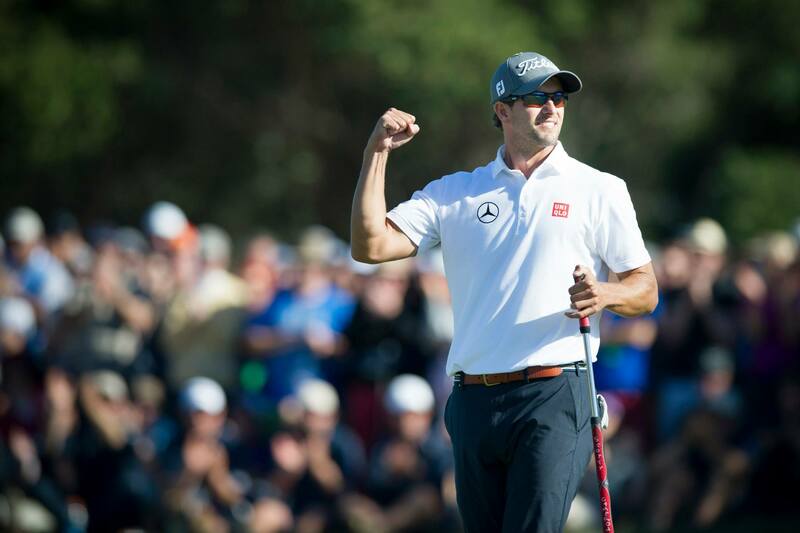 2103 will go down as the year Adam Scott added a lot of new apparel to his wardrobe. Scott started the year without a clothing sponsor (strange for a player who has made a career out of being on best dressed lists). Rumors swirled (many of them laughable) about which brand would land the stylish and logo-less Aussie. Then, things got crazy the second week of April. On April 9th, Scott’s deal with Japanese retailer, Uniqlo, was announced. Five days later he added the most significant piece of apparel to his closet — the Masters’ green jacket. Was this the shrewdest partnership deal ever? A weird alignment of the planets? One thing is for sure — timing is everything. In 2013, Scott gave everyone a lesson in style (including yours truly). By wearing basic colors, classic styles and modern fits, he basically made a statement by not making a statement at all. What can we learn from Adam Scott’s style? The classics never go out of style. High price tags don’t guarantee great style. Canvas and webbed belts are in.